Skywage is a Bitcoin sportsbook and casino rolled into one. The mobile device-compatible website has been available to online bettors since 2006. The operator Travel and Entertainment Services SRL runs the bookie headquartered in Costa Rica. You will not see any information about Skywage’s license on its site, but the company operates on a 128-bit Secure Socket Layer (SSL) encryption to assure you that your information is safe within the sportsbook’s database. Also, Skywage does not have a list of country restrictions. It is still your responsibility to check if your area of residence allows online gambling before signing up with the website. You can contact Skywage’s customer support via email, phone, and live chat. Even better, the bookie offers SMS support for you to reach its representatives if you have concerns while you are on the go. Moreover, the site has an affiliate program, backed up by Skywage Partners, which lets you earn extra by promoting the bookie. Although Skywage has been a go-to bookie of some online punters, it has been drawing flak in betting forums. There are claims against the website expressing that the players were not getting their winnings fairly. The betting portal would not approve their requests for withdrawal as they were accused of cheating because of their big winnings. Eventually, the site would deactivate their accounts with no updates on whether they or not could still cash out the funds left in their accounts. Unfortunately, Skywage still has not answered to any of these complaints. Is this site a sportsbook you should still sign up with despite these issues? Read this in-depth review to find out. You can expect Skywage to have multiple deposit bonuses waiting for you once you sign up with it. Also, the betting hub has a VIP program you can join. To avail yourself of the site’s deals, though, you must get in touch with the customer representatives. Once you sign up with Skywage, you are instantly qualified for its 150% Welcome Bonus up to US$1,000. To claim the reward, you must use BTC on your first deposit, and its equivalent in USD will be your bonus. On the other hand, you need to roll over the bonus amount 15 times before cashing it out. 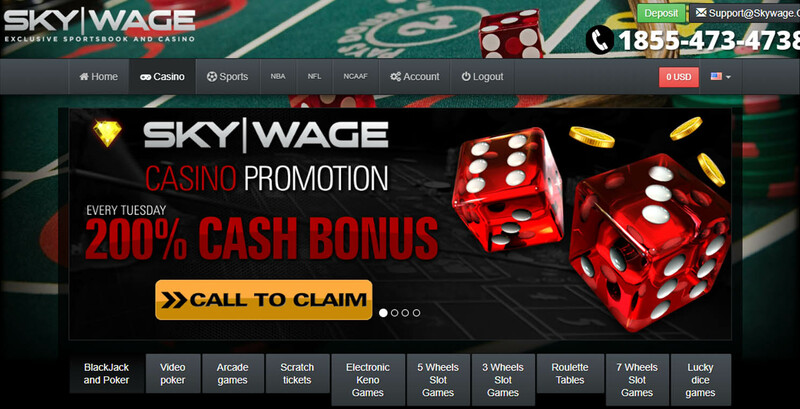 Skywage has a 100% Deposit Bonus up to US$9,000 that you can avail yourself of. You should get in touch with the bookie’s customer support to inform them of your desire to claim this promo. Once you have the bonus, you are required to wager it onsite 15 times before withdrawing it. The other deal you can get from Skywage is a 150% Deposit Bonus up to US$9,000. You can claim it after you have spoken with a customer service representative about availing yourself of the promo. To cash out the reward, you should first roll over the bonus amount 20 times. You can join Skywage’s VIP Program for extra bonuses. For you to qualify as a VIP member, you must load your account with over US$1,000 in one deposit. You will then get your own account manager and other perks. Some of the benefits that you can get off of being a VIP member are special bonuses and live sports game tickets. Other than the abovementioned bonuses, the bookie offers seasonal promos such as deposit bonuses and cashbacks. If you are looking for promo codes, though, this sportsbook does not have any. There are also no free play deals available in the Casino section. You can place your bets on 17 different sports that are available on Skywage. The bookie offers many different ball games you can wager on like golf, American football, basketball, and volleyball, to name a few. If you are looking for racing sports, you can check out the site’s motorsports, horse racing, and Greyhound racing sections. Betting on esports is also available on Skywage. You can bet on the current and upcoming esports tournaments just like the League of Legends World Championship. Boxing and MMA sections are available to wager on as well. There are different betting types to choose from when placing your bets. You can use the straight wager, parlay wager, and system wager, depending on the sport you are placing your bets on. 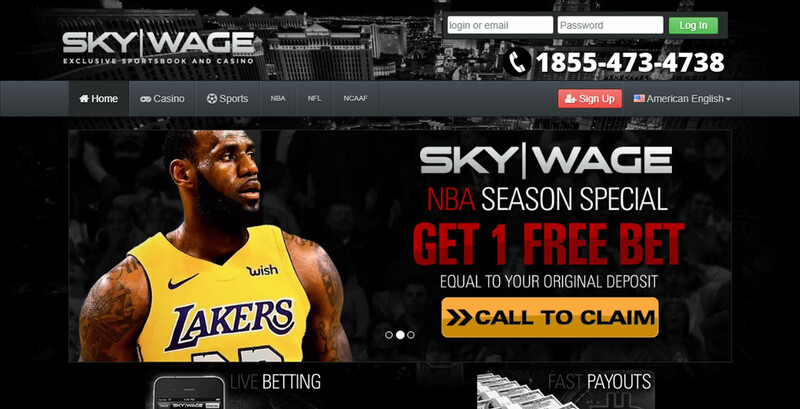 Not only is Skywage a sportsbook, but it is also a casino. You can play different games onsite such as video slots and table games like blackjack, poker, and baccarat. Bingo, scratch cards, darts, and keno are other games you can have fun with in the gaming hub. Skywage accepts fiat currencies and cryptocurrency. 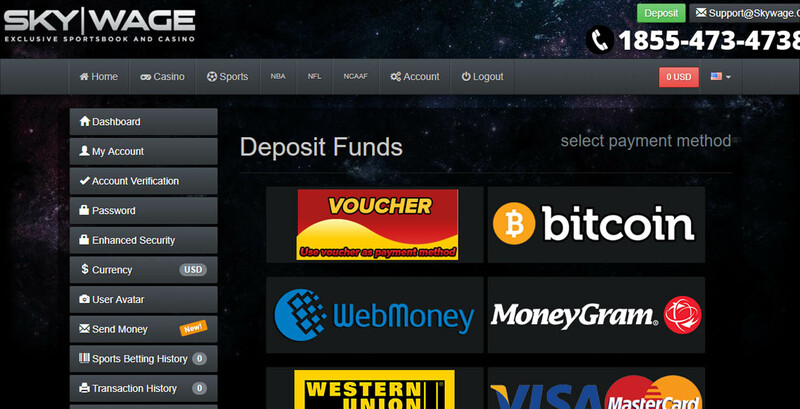 You can use USD, EUR, CAD, and BTC when you are on the site. Check out the different methods for topping up and cashing out below. Topping up your account requires a deposit of at least US$25. However, the deposit limit depends on what channel you are using to load up. For instance, credit cards like Visa and Mastercard have a limit of up to US$5,000 only while Bitcoin wallets do not have any deposit cap. Additionally, the processing of deposits is instant, giving you a reason to play on Skywage right after loading up. Cashing out your winnings requires you to have at least US$55 in your account. If you do not have enough balance, Skywage will not process your withdrawal request. You also would not be able to withdraw your winnings if you have not completed your pending wagering requirements. Your requests for withdrawals will usually take two to 48 hours to complete. You should know that the sportsbook will require you to upload documents for your payment methods except if you are using a Bitcoin wallet. For credit cards, you must send your complete profile alongside scans of your valid ID. Other methods will only require a valid government issued ID. Skywage: Is It Worth It? Skywage offers you more than what a typical sportsbook has. The site has amazingly generous bonuses that will entice you to sign up. Also, the VIP Program of the bookie has great benefits that will encourage you to become place more bets. Alongside these, the site has many available banking options that you can use, and most are available for both topping up and cashing out. Another plus for the bookie is it has a lot of available sports you can place wagers on. You are not limited to using just one betting option as the site has a variety of choices. You can even spend hours in the Casino section of the website as it has many games you can choose from. On the other hand, Skywage has a couple of setbacks. One is the lack of information about its license, and the other is the negative feedback that it has been receiving from its old users. Although some of these claims have not been proven true, it is still a concern that a lot of players’ withdrawal requests have been rejected by the website. What is even more bothering is that those accounts with unapproved cash-outs have been deactivated by the sportsbook. The amount in these bettors’ accounts would not be available for claiming anymore. All things considered, it is fair to say that Skywage will make you think twice about signing up. If you do plan on registering with the betting hub, it is advisable that you deposit only low amounts just to be safe. But if you do not plan on doing so, check other sportsbook reviews to find one that is more secure and reliable.